© 2019 Estrada Fine Art. 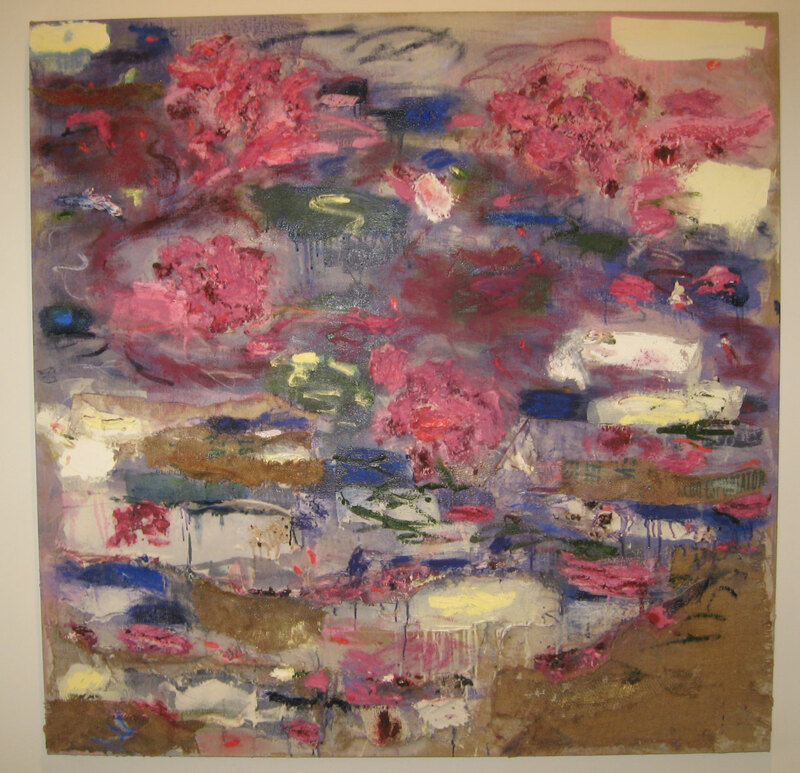 Joan Snyder was born in Highland Park, NJ and currently lives in Brooklyn & Woodstock, NY. Her career began with a series of “Stroke” paintings which were shown in her first solo exhibitions in NY and San Francisco in the 70s. 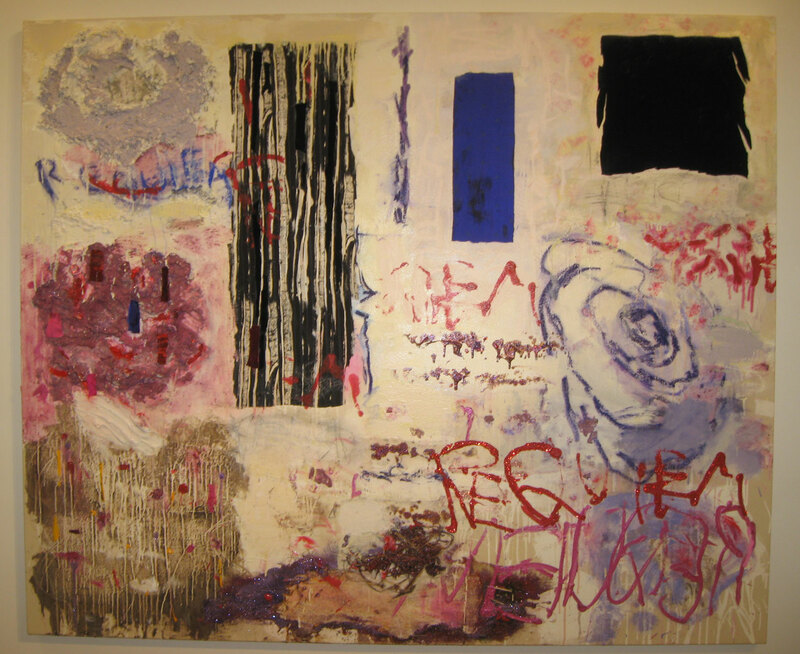 She was then selected for the Whitney Annual (1972), Whitney Biennial (1973) and the Corcoran Biennial (1975). She is the recipient of a Guggenheim Fellowship (1983) and a MacArthur Fellowship (2007). I have always loved her work and been drawn to her expressive paintings. What a lovely surprise to have been able to view her newest work “Joan Snyder: Sub Rosa” at the Franklin Parrasch Gallery recently in NY. The multi-media paintings contain oil, acrylic, paper mache, pastel silk, burlap, dried flowers, etc. and are beautiful, sophisticated and inspiring. I am including the following artist statement from 2007 as I find it makes sense and connects this fantastic painter with her roots and our history. “The late 1960s and early 1970s – I remember being on a search of my own, having just come out of graduate school in 1966 and having moved to New York in 1967. I was slowly developing a language with which I could speak and communicate. I loved to paint – it was the very first thing in my life that I had found that I had truly loved to do, and I felt that one day I would be good at it. I remember wanting more from Color Field painting and not being moved by Minimal art, which was mostly sculpture at the time. These were the works that I was challenging – to have more in a painting, not less; to show the anatomy of a painting, the different layers as it was being made, the process. In the late 1960s, I was making ‘flock’ paintings using flocking (crushed rayon), lentils, thread, paste, and paint. The paintings spoke about women and their bodies. They were anthropomorphic. I slowly moved through these ideas to the ‘stroke’ paintings. I loved the idea of narrative—being able to express many emotions in one painting, as in a song or symphony. In the late 60’s women had begun to talk, meet and organize. We were not being recognized or taken seriously, no matter the type or style of artwork we were attempting at the time. I remember calling male painters ‘the boys’, and I did that for years, because women were excluded from any dialogue at the time. Perhaps this is what allowed me to go my own way, to discover my own language, and to work so independently, just because I felt so excluded. previous post: @Large: Ai Weiwei on Alcatraz – Part 2 next post: Beginning an art collection……what acquiring minds need to know.